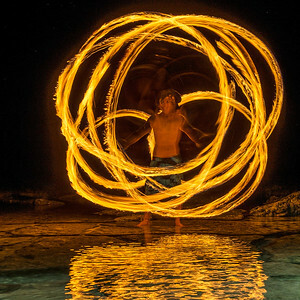 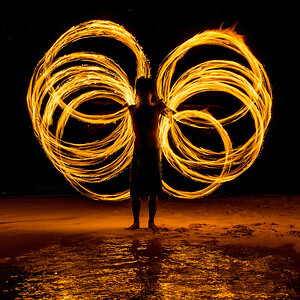 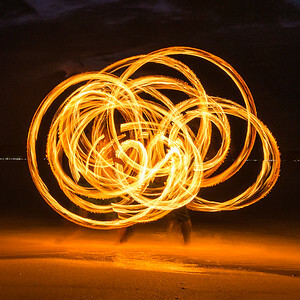 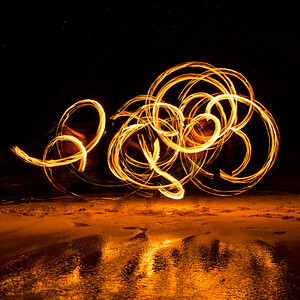 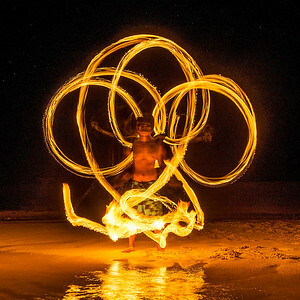 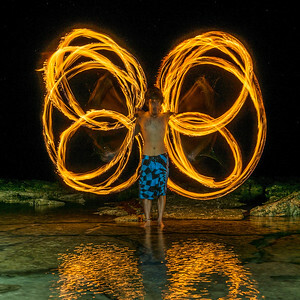 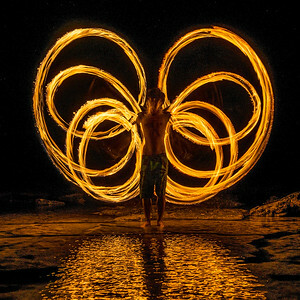 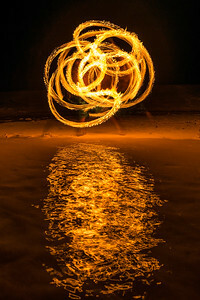 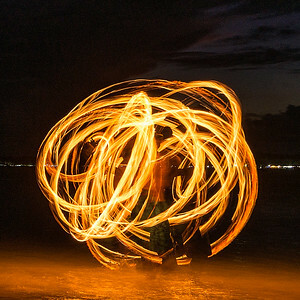 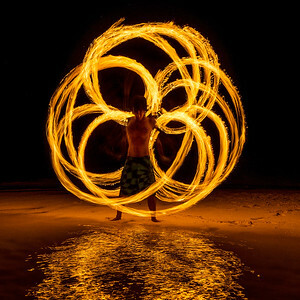 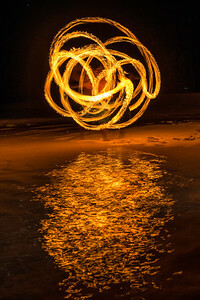 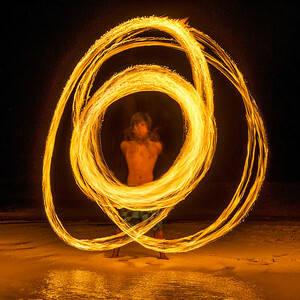 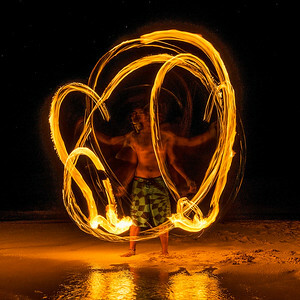 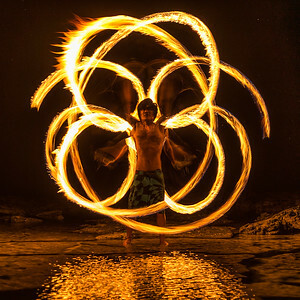 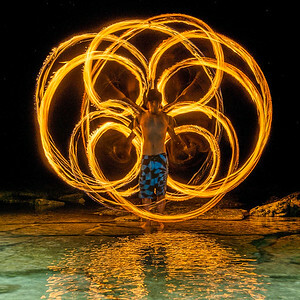 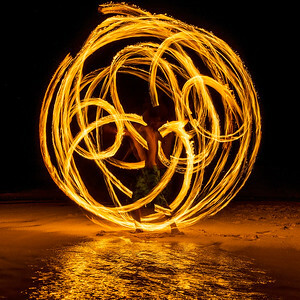 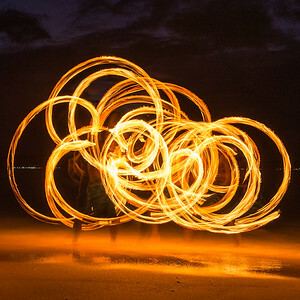 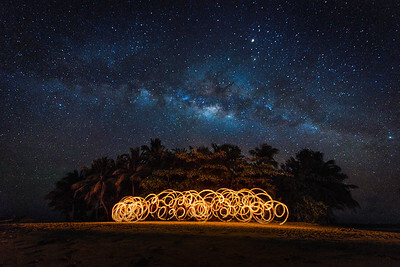 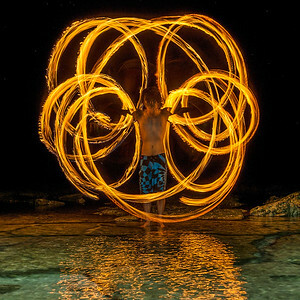 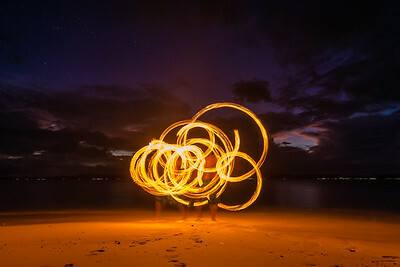 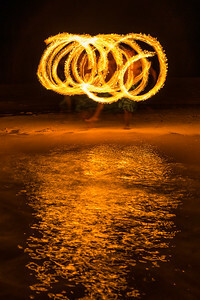 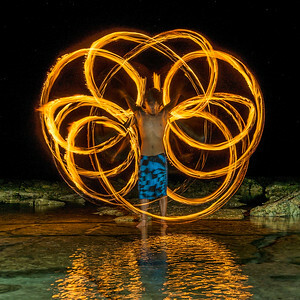 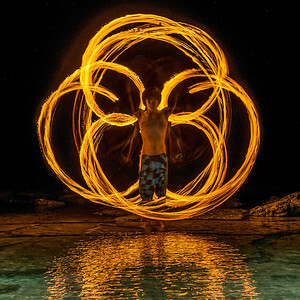 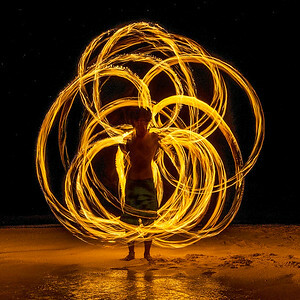 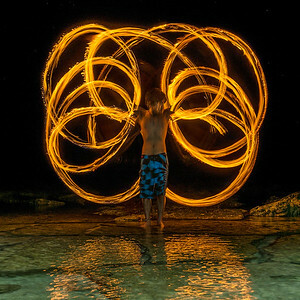 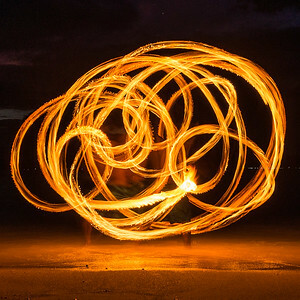 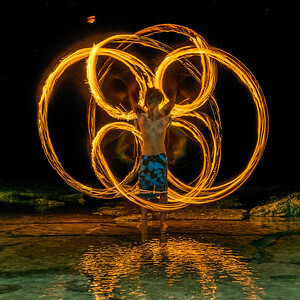 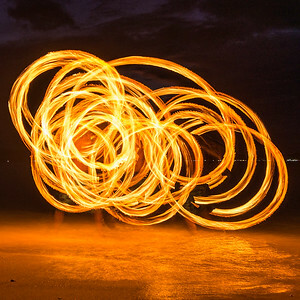 Fire dancer Kevin Jay Rama of Isla Kalayo (Fire Island) at Guyam island, Siargao Philippines. 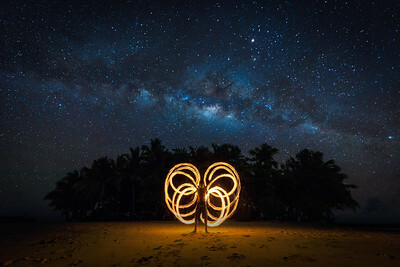 After shooting the Milky Way at Guyam island and taking some photos of Jay (fire dancer) at Viento del Mar, I want to improve my shot of both. 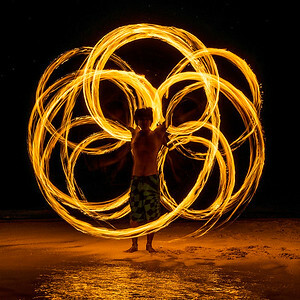 Finally I came up with the idea to combine them and thus take Jay to Guyam.